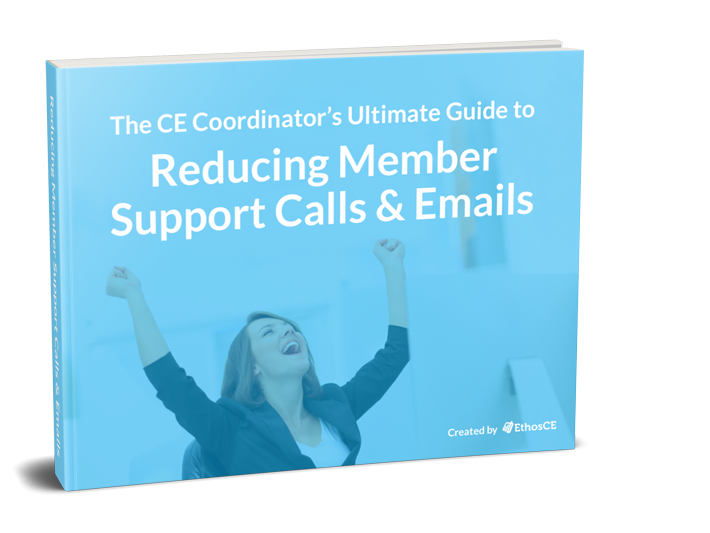 Conquer your member support issues to save countless hours with this free eBook! A call or email from a confused or unhappy member isn’t a call you’ll want to take. That’s because statistically, the bulk of your support requests will represent a failure to deliver the kind of customer experi- ence that your members deserve. It isn’t a question of your association’s, health system’s, or academic institution’s commitment to superior customer service, or the overall quality of your LMS. It means that your platform’s self-service options didn’t provide needed solutions, and your FAQ left your member’s questions unanswered. That shifts the burden onto your call center or support staff. They’ll try to find a resolution for your clients via phone or email, but even their best efforts mean exposing your customer to yet another potentially disappointing interaction with your association’s, health system’s, or academic institution’s CME platform. According to research by Harvard Business Review, the odds are that after a call to your helpline, your members won’t end up pleased. Client support calls have been shown to be 4x more likely to result in an un- happy customer than a delighted one. Virtually instant answers are the rule, rather than the exception in e-commerce and online service industries, and your members are unlikely to lower their standards when it comes to their CME. Having to call or email for help to access your association’s, health system’s, or academic institution’s CME services isn’t merely an inconvenience, it’s a memorable brand fail. That kind of risk shouldn’t be left to chance. Read on to learn how to stop unnecessary support calls before they become inevitable and overwhelming. Download the free eBook to read more!